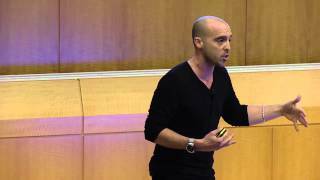 Sinan Aral is the David Austin Professor of Management and Associate Professor of IT and Marketing (with Tenure) at the MIT Sloan School of Management. Sinan is a leading expert on Social Networks, Social Media and Digital Strategy. 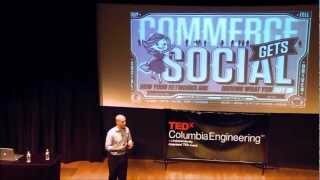 He has worked closely with Facebook, Yahoo, Microsoft, the New York Times, Nike, IBM, Cisco, Intel, Oracle, SAP and many other leading Fortune 500 firms on realizing business value from social media and information technology investments. Sinan`s research focuses on social contagion, product virality and measuring and managing how information diffusion in massive social networks such as Twitter and Facebook affects information worker productivity, consumer demand and viral marketing. This research has won numerous awards including the Microsoft Faculty Fellowship (2010), the PopTech Science and Public Leaders Fellowship (2010), an NSF Early Career Development (CAREER) Award (2009), the Best Overall Paper Award at the International Conference on Information Systems (ICIS) (in both 2006 and 2008), the ICIS Best Paper in IT Economics Award (2006), the ICIS Best Paper in IT Business Value Research Award (2006), the ACM SIGMIS Best Dissertation Award (2007), and the IBM Faculty Award (2009). Sinan has been a Fulbright Scholar and served as Chief Scientist and on the board of directors of SocialAmp, a social commerce company that enables targeting and peer referral in social media networks (which was sold to Merkle in January, 2012). He is currently Chief Scientist at Humin, the smart social navigation startup that is creating the Google Maps for your social world. He is also the Scholar-in-Residence at the New York Times R&D Lab, and an organizer of the Workshop on Information in Networks (WIN). He is a frequent speaker at such thought leading events as TEDxSiliconValley, TEDxColumbia Engineering, TEDxNYU, Wired`s "Nextwork" and PopTech and has been the keynote speaker at executive gatherings such as Omnicom`s Global "Emerge" Summit. His work is often featured in popular press outlets such as the Economist, the New York Times, Businessweek, Wired, Fast Company and CIO Magazine. Sinan is a Phi Beta Kappa graduate of Northwestern University, holds masters degrees from the London School of Economics and Harvard University, and received his PhD from MIT. You can find him on Twitter @sinanaral.